Recently we have worked with many Silvermont based embedded solutions, particularly in the Avoton and Rangeley families. 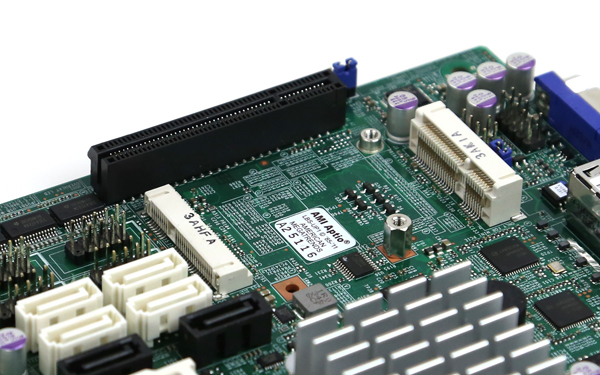 Today we are looking at a Supermicro X10SBA embedded solution with a Bay Trail-D Celeron J1900 processor. The solution is unique in that it provides a very low power, passively cooled, platform that has a solid mix of performance options. We also utilized Seagate and Western Digital spindle drives to text maximum configurations, but those were our two main test beds. When we were not performing power consumption tests we also utilized anIntel 7260 HMWG wireless 802.11ac card and a variety of mSATA SSDs. That configuration is essentially all one needs to turn this int a fully functioning server or workstation platform in a very small and slim chassis. 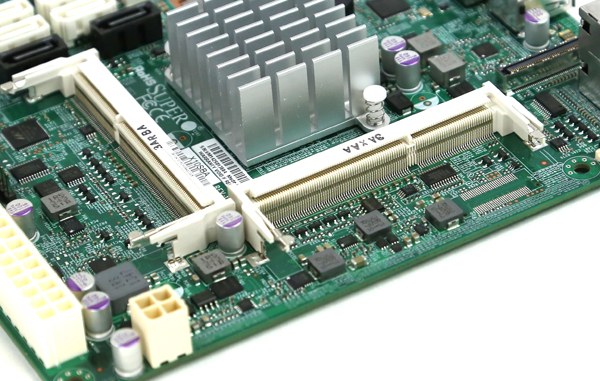 One can see that Supermicro even uses two SODIMM slots that place the memory modules parallel to the motherboard. 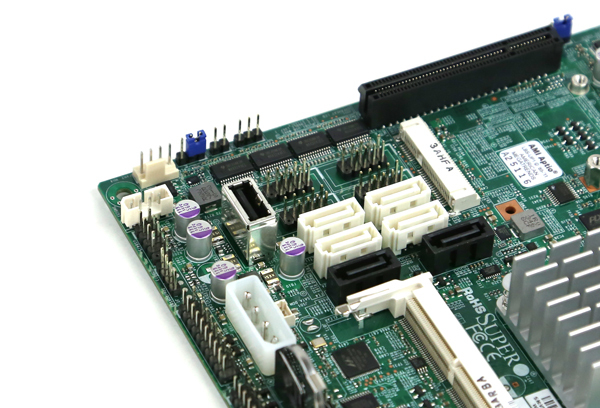 Moving over to the expansion options, there is a PCIe 2.0 x2 port in an open-ended PCIe x8 slot. Next to this though is a mini PCIe slot and a mSATA slot. For those that are unfamiliar with these form factors they were made popular primarily in the notebook segment. We added a 120GB Crucial M500 SSD and an Intel 7260 HMGW in this shot to show how Supermicro saved space stacking these card slots horizontally to keep the overall package low profile. Just next to these slots is an array of internal USB headers including a Type-A internal USB header. This is a great feature for those looking at an embedded solution or even an ESXi boot disk. Next to these are two SATA 2 3gbps ports (black) from the Intel SoC. 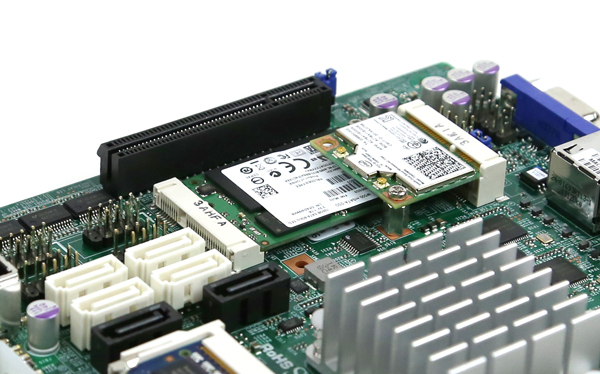 The four white SATA3 ports are 6.0gbps and provided by the Marvell 88SE9230 SATA controller which one can see between the vertically mounted battery and the SODIMM slot. The rear I/O panel includes a Displayport, a HDMI port and a VGA port for video output. There is an eDP header for embeded options. Furthermore Supermicro has one USB 2 and one USB 3.0 connector on the rear panel. THis is the only area where I would have liked to see Supermicro add an additional USB connector or two to the rear panel. 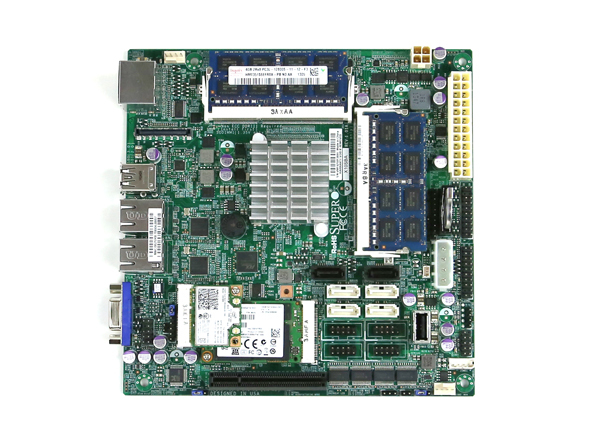 The two gigabit LAN ports are Intel i210-AT ports, which means that Supermicro added server-class NICs to this motherboard. Typically Bay Trail-D solutions use cheaper Realtek NICs but the Intel i210-AT is generally considered the better supported solution. If you have an older version of VMware ESXi we have a guide to getting the Intel i210-AT to work with ESXi. Overall this platform is compact and very low power. It should be noted that this system does not have remote KVM features found on many Supermicro motherboards, likely because it is not needed in its target market. As one can see, the Supermicro X10SBA runs relatively cool even without an actively cooled SoC. 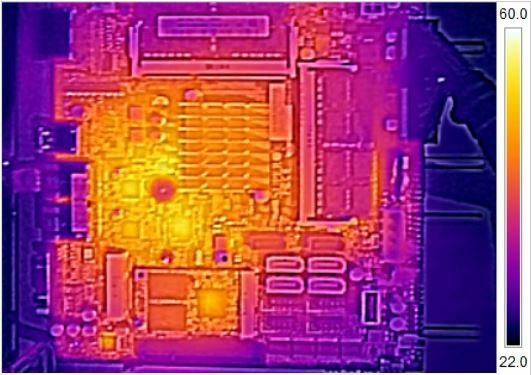 The warmest points are still relatively cool and are generally the ICs that run perfectly well even without heatsinks. 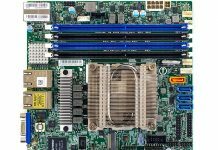 Overall, the Supermicro X10SBA performed very well. The Intel Celeron J1900 platform produces solid performance figures in line with modern x86 SoC’s. The Celeron J1900 also has features such as Quick Sync that enable high performance, low power transcoding. The board itself can handle one mSATA drive plus five SATA drives or up to six SATA drives making it an interesting storage platform. Dual Intel i210-AT gigabit NICs are a premium offering in this segment. On the power consumption side, the Supermicro X10SBA, even with its extra features, has lower power consumption than a less well featured AMD AM1 platform releasing in Q2’2014. 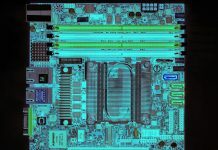 This is certainly an excellent platform either for a low power server or an embedded workstation where a low profile, passive cooling capability and onboard video are desired. Thanks for the well written review. Also the guide to setup ESXi with Intel i210 is much appreciated! 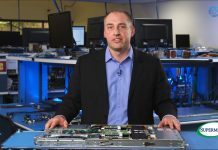 Did you actually test esxi with that board ? I wasn’t able to get ESXI to work, hangs up on ‘relocating modules and starting up the kernel’. The “array of internal USB headers” are serial ports.